The Firm’s attorneys have been active in the practice of construction counseling, drafting and litigation for almost twenty years. 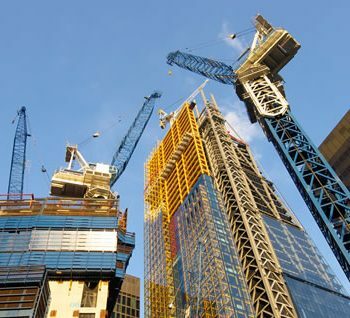 The scope of the practice ranges from the initial development and negotiation of development agreements and construction contracts, including Owner-Architect, OwnerContractor, Subcontractor and multiple prime contractors’ contracts. This practice requires intimate working knowledge of the AA documents and the ability to alter and tailor contracts, General Conditions, and other related documents to fit the particular needs of the client. The Firm has worked with clients in the development and evaluation of claims, including prosecution and defense of claims based on breach of contract, inclusive of time and cost overruns, time-sensitive claims, productivity impacts, force account problems, contract administration deficiencies and other related issues. The Firm’s attorneys have also concentrated in the area of mechanic’s liens and related security problems and have handled a substantial number of claims through trial and the American Arbitration Association procedures, both as advocates as well as arbitrators. Finally, the Firm has represented the State of Hawaii as Special Deputy Attorneys General on a number of major construction projects, and has an expanding practice representing architects, developers and contractors.